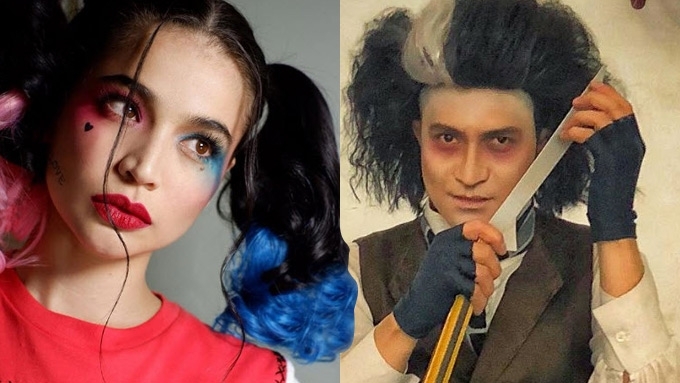 Anne Curtis channels her inner Harley Quinn, while Vhong Navarro transforms into Sweeney Todd. It's Showtime! 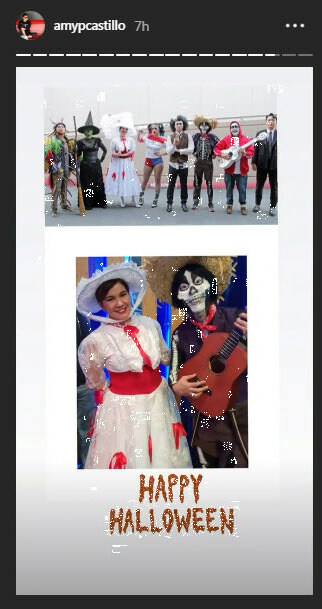 aired its annual Halloween special earlier today, October 31, and the hosts went all out for their costumes. Most of them were dressed as popular characters from film, television, and books. Anne Curtis unleashed her crazy side as Harley Quinn from the DC film, Suicide Squad. Vhong Navarro channeled Sweeney Todd, the demon barber from London's Fleet Street. Mariel Padilla looked wicked good in her Elphaba costume from the hit musical Wicked. Amy Perez dressed up as Mary Poppins. Jhong Hilario appeared to be an insect splashed with colors. Ryan Bang and Karylle paired up as Mr. Lee and Ms. Kim from K-Drama, What's Wrong with Secretary Kim? Jugs Jugueta and Teddy Corpuz also teamed up as Hector and Miguel from the Disney Pixar film Coco. Hashtag member Charles Kieron became Suicide Squad's version of The Joker. Hashtag member Luke Conde came as Riverdale's Archie Andrews. Hashtag member Maru Delgado transformed into Edward Scissorhands.